The American Statehouse examines the interplay of architecture and politics in all fifty state capitols. Using both careful analysis and photographs of exteriors and interiors, Goodsell demonstrates how the architectural elements embody political values and ideas; influence how politicians, lobbyists, and the news media behave; and both awe and unite the citizenry. He concludes that a statehouse's design is an intentional expression of how to practice politics democratically. The American state capitol is a "statehouse" in that it was historically conceived as the center and home of all of state government. As a building type, it emerged in the early nineteenth century and flowered in the early twentieth. One of the very few purely American architectural forms, the statehouse not only encloses but also symbolizes American democracy at the state level. That all three branches of government, not to mention the state bureaucracy initially, were housed under one roof meant that the doctrine of the separation of powers had to be "worked out" in close quarters, often in revealing ways. What also evolved in the statehouse was a distinct style of politics that mixed colorful leadership, varied partisanship, bicameral opposition, deliberative debate, insider lobbying, uninhibited reporting, bureaucratic growth, and populist activism. All of these elements both affected and were acted upon by the built form—the statehouse—of state government. At the nexus of architectural studies and political science, this book is about the interaction of architecture and politics in America's state capitols. Goodsell offers what he calls a social interpretation of architecture. Toward this end, he utilizes three conceptual frameworks: one devoted to seeking political values or ideas embedded within the buildings, a second concerned with the effects of the buildings on contemporary political behavior, and a third seeking to appraise larger impressions the buildings make on society. Goodsell concludes that the statehouse enshrines both majestic state authority on the one hand and liberal representative government on the other. 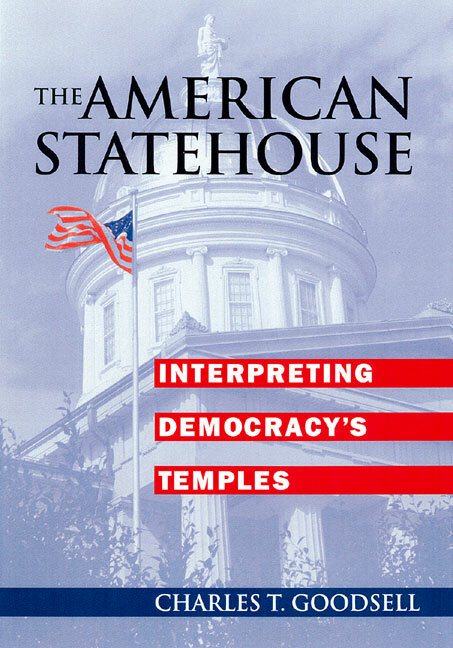 The American statehouse, then, is not just a temple but a temple of democracy. Charles T. Goodsell, professor at Virginia Tech's Center for Public Administration and Policy, is the author of The Social Meaning of Civil Space: Studying Political Authority through Architecture; The Case for Bureaucracy: A Public Administration Polemic; The Administration of Revolution; American Corporations and Peruvian Politics; and The Public Encounter: Where State and Citizen Meet.